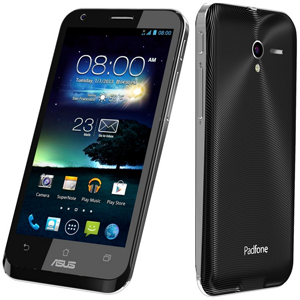 Asus released its PadFone 2 back in 2012, its party piece is the hybrid tablet/smartphone design. Here we have a high-end smartphone that docks with a 10.1” tablet shell. All processing power originates from the smartphone, which uses a Qualcomm Snapdragon S4 Pro chipset, comprising of a Krait Quad-core 1.5 GHz CPU and an Adreno 320 GPU. The smartphone has a 4.7” IPS LCD display with a pixel resolution of 720 x 1280, giving a reasonable PPI at ~312, the tablet display has a 1280 x 800 10.1” IPS LCD, the increased screen size results in a low PPI of ~149. Memory comes in at 2 GB of LPDDR2 RAM and options of 16, 32, and 64 GB ROM. Cameras include a 13 MP rear, which has a LED flash and a 1.2 MP front facing. The tablet shell also has an additional 5000mAh battery to boost the smartphones 2140mAh battery when using the larger, power hungry tablet display. Here members can discuss topics such as custom ROMs and rooting methods, or just ask questions regarding the Asus PadFone 2.